The Builder/Developer/Lender Council provides exceptional value through excellent access to information and economic forecasts. Each quarter, Roger Tutterow, PhD of Kennesaw University presents the Consumer Confidence Survey quarterly results and Eugene James of MetroStudy presents a market report and update. 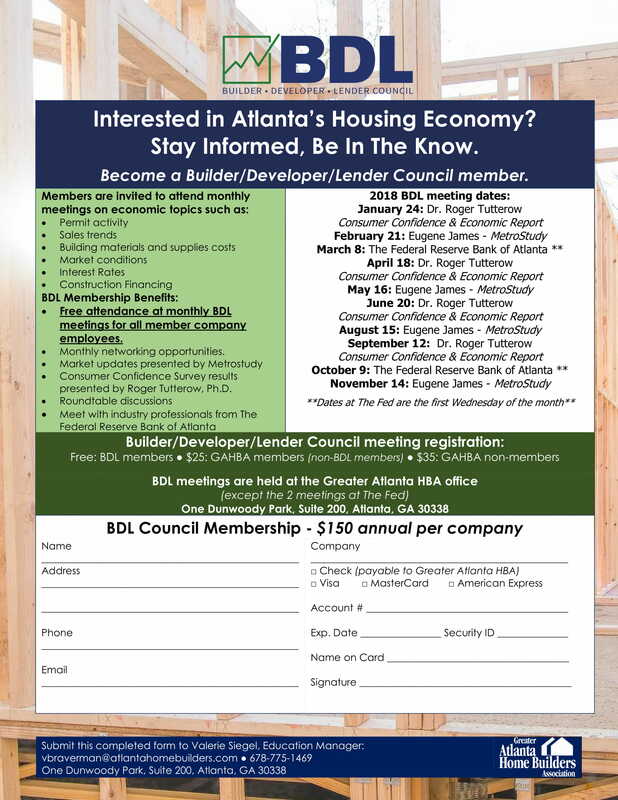 In addition, members attend exclusive education sessions at The Federal Reserve Bank of Atlanta, and all monthly meetings feature roundtable discussions among builders, developers, lenders and suppliers focused on the metro Atlanta housing market. Click here to view a full calendar of events.